Indonesia. Perfect when seeking something out of the norm. Something that stirs the senses. Sure, there’s the expected luxury one would find at the Ritz Carlton as in Mandapa Reserve or the Four Seasons Jimbaran Bay, but those two icons of luxury also provide unique experiences not found elsewhere which makes them both the right choice in Bali. 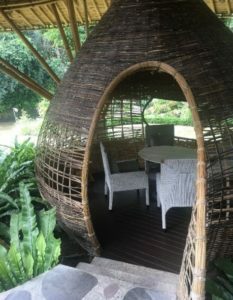 The Ritz Mandapa for starters is in Ubud, along the Ayung River offering much to see and do including great river rafting. 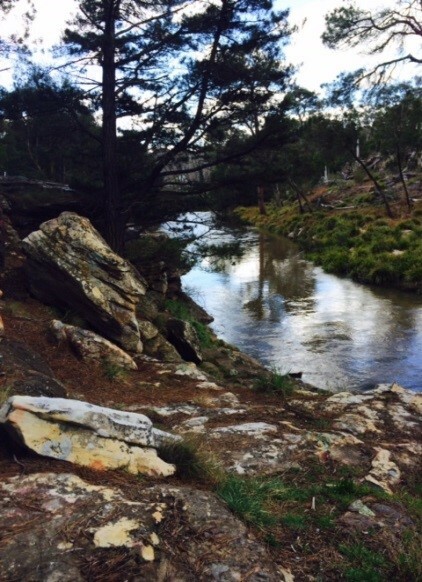 And for total R & R, retreat to the spa for the loveliest setting beside the water I have seen. It made tears well up in my eyes. How on earth was the design of this space thought out? Food is incredible. 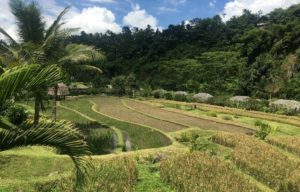 And how about organic rice terraces right on the property? The kids club is something to write home about. 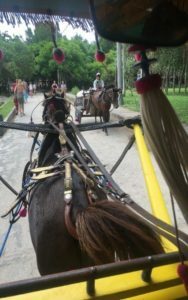 It doesn’t have all those TV or Electronic games to keep them hypnotized, but instead a natural setting to engage young travelers with nature; an animal farm right there to learn about and care for these beings. Plus, a yoga pavilion…just for kids. But don’t get this confused with a dedicated family resort. This is without question a place I would go for an adult getaway. 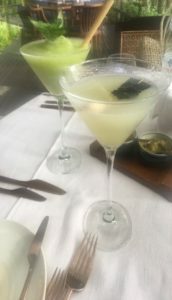 Select the riverside villas which are NOT for kids and pair that with a wasabi martini and the result is grown up decadence! 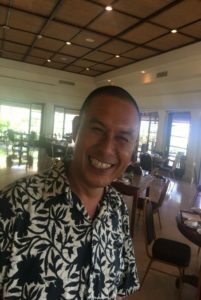 Now let’s talk about Four Seasons Jimbaran. It sparkles for a multitude of reasons. Service is second to none. Authentic hospitality. You know the kind? Not rehearsed but real as though you’re staying with your grandparents…like them, the Four Seasons wrote the book on how to spoil! It took my breath away to enter my villa (the number will forever be branded in my brain). It has the most breathtaking view of Jimbaran. And a private pool with cabana providing the utmost in exclusivity one could want. I also like that it’s in close proximity to the airport making it a smart choice for just coming off a long flight to get acclimated to the environment for a couple of nights or a great place to stay before saying goodbye to this wonderful island. Trust me, you will wish you booked a longer stay. Truly off the path. A quick 40 min flight from Bali or a two hour-ish ferry across. No malls or chain stores. No typical touristy things. Very few people. 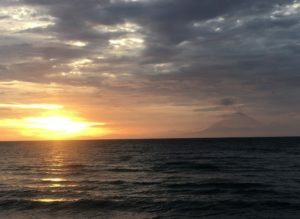 What you’ll find are lovely Blue watered beaches, a Temple or two and from certain vantage points a clear National Geographic view of the active Mt Agung volcano. I had to keep rubbing my eyes to make sure I was not dreaming. 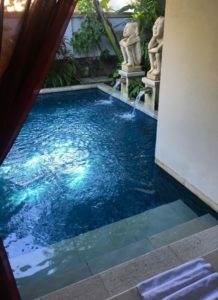 Lombok has luxurious yet affordable places to stay; Tugu Lombok for its gracious service and an incredible collection of Balinese antiques on a stunning stretch of powdery sand with glasslike blue water. Then you have Sudamala on Senggigi beach. This place has a unit with its own private pool accessible straight from your bathroom. How cool is that? And for those discerning globetrotters who cannot do without all the luxuries possible, there’s the Oberoi where comfort is guaranteed. And if we’re speaking of Lombok I must also mention the Gili islands which is a short boat ride away. The Gilis are even more out of the ordinary with great spots for snorkeling, a bit of nightlife on the sand or just unplugging. There’s Gili air for fabulous underwater scenery or Gili Trawangan which has no cars. Only bikes, horse carriages and “Ocean Swings”? Yes! Push me, please! 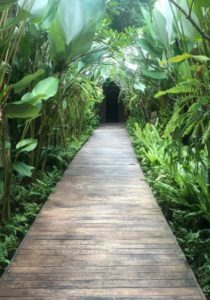 No trip is truly complete without a stay in the mountains of Ubud, where as mentioned, Mandapa is and other amazing properties with the likes of Viceroy, Como Shambala and of course Amandari. 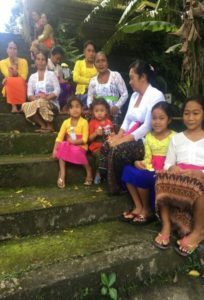 This is the answer to why one would go to Bali – for a cultural and spiritual immersion into what this place is really about. It’s Ubud. I hear soft bells in the air and take in wafts of incense while sipping freshly steeped ginger tea and dining on exotic fruits for breakfast. This is where the jungle is. This is where the beautiful Balinese rice terraces are. Don’t miss the most impressive ones in Jatiluwih and Tegalalang. This is where the colorful Balinese reside. This is Bali, Indonesia. I will return Bali. After a long journey to this Indonesian spot on the globe, I have a restful sleep in Seminyak Hotel and rise to the chattering of birds I’m not familiar with and an orchestra of waves playing for surfers looking for the next big curl. As I walk to early breakfast, a Jill Scott song fills an otherwise still lobby bar with the perfect vibe for the “cool”… well yes, that would be me. Ahh. I am here waking up in Bali. 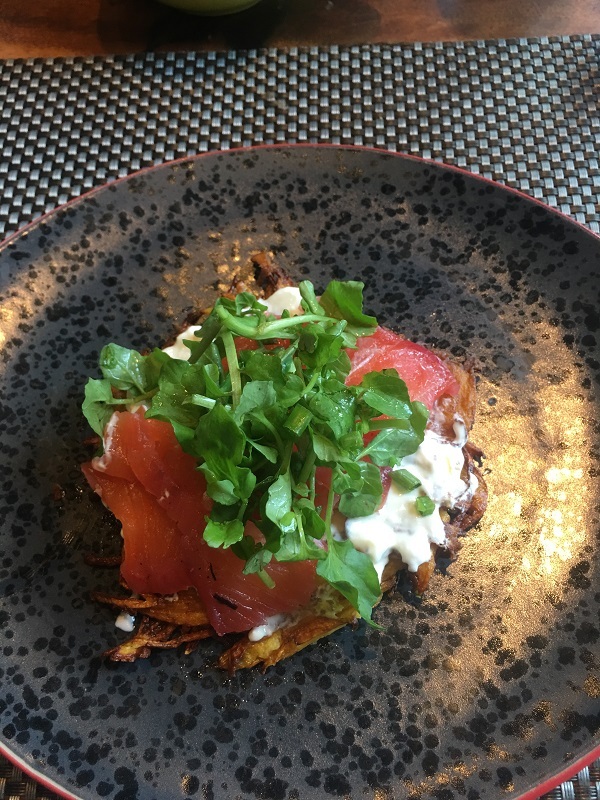 And I will have tea and curry and House Cured Salmon Pumpkin Latke a la creme fraiche or Balinese Moringa Rice Porridge or smashed avocado sourdough toast or maybe all of it and fruit and whatever else I fancy. 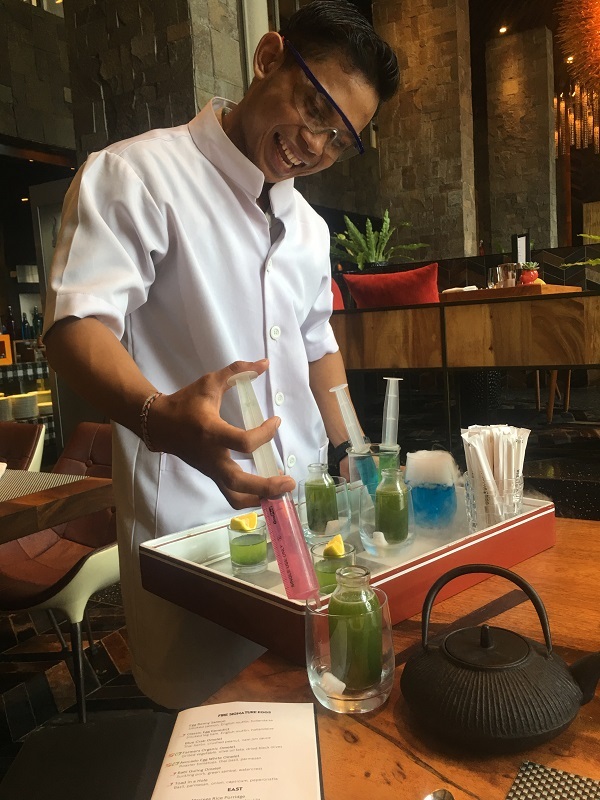 Hey, and let’s not forget the “beverage chemist” stopping by to force a cucumber celery drink on me injected with a shot of hibiscus! Yes, please. After all, I am at the W Hotel, which stands for “Whatever, Whenever”. Let the day begin. 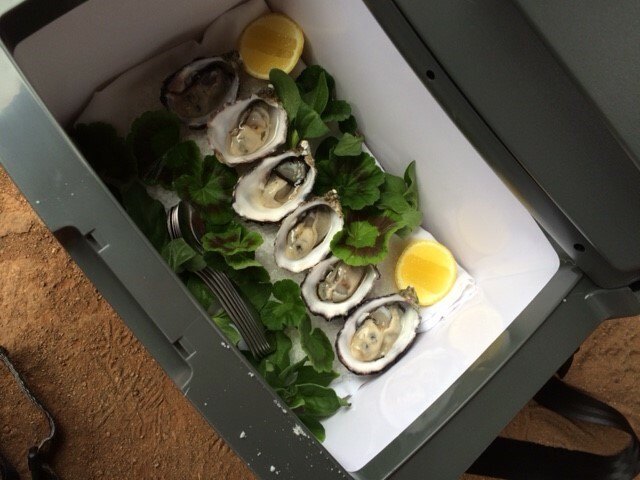 Let me just start by saying…THIS is how I began my Sydney adventure with FORK and KNIFE in hand and DOVE right into this plate of the freshest, sweetest shell fish I’ve had in a long long time. And it certainly helped being at the best place in the city on the water! This is just what one must do after a long flight in. Then I head down to the Southern Highlands, about an hour and half outside of Sydney where the open spaces, kangaroo, wombat and Koala Bear hang out. 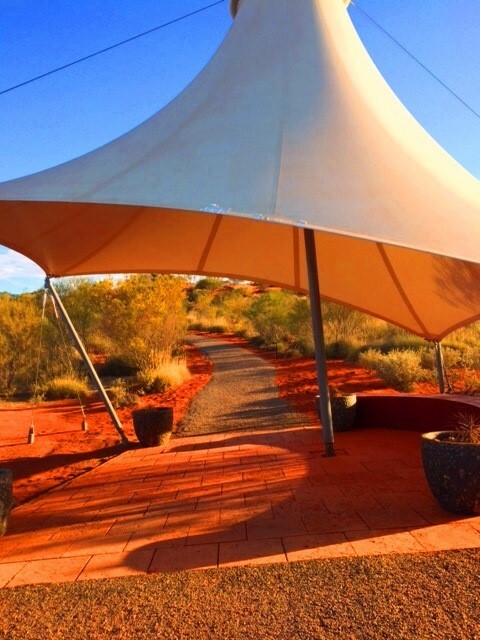 Next I hop a flight to Ayers Rock to see the iconic Uluru as the indigenous people affectionately refer to it. And there’s only ONE place to stay and that is Longitude 131. Service is impeccable; Accommodations are smartly engineered tented units with unparalled views of the “Rock”. As you can see Ayers Rock sits at the Horizon. From a distance it just looks like a solid mass but up close it is something completely different to behold. You can almost feel the magnetic pull from this stories-high imposing rock formation which is greatly respected by the mysterious indigenous people of this land. And while hiking around the base of this mountain with guides from Longitude 131 I was spoiled with a surprise picnic of champagne…and oysters! Poor me! 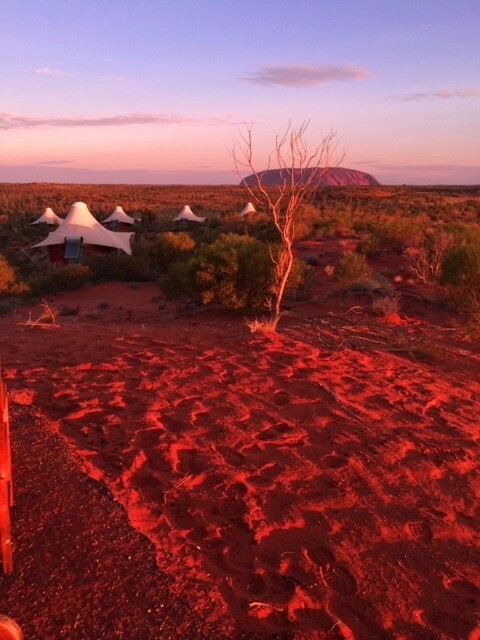 While on your next visit “Down Under” DON’T pass up a visit to Ayers Rock and a MUST STAY at Longitude 131 for a completely pampered yet adventurous experience! I AM a SPA SNOB. Pure and simple; I want my surroundings to be beautiful, treatments that touch me to the core, food that delights and service which humbles me. I found this at Rancho La Puerta! This place has a soul. And all within a 2 – 3 hour drive from Los Angeles. The landscape is very different from Southern California. RLP is situated at the foot of Kuchumaa mountain peak, just minutes from the San Diego border to the east in Tecate, Mexico. 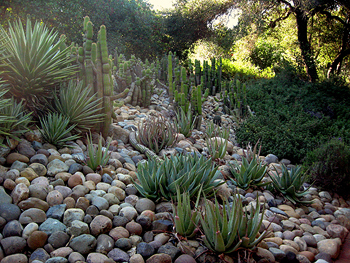 The hills are a mosaic of pre-historic boulders and lush chaparral. The greet staff who escorted us from the San Diego Airport were warm, welcoming and brimming with smiles. Crossing the border was uneventful and fairly quick. Service at the ranch exceeded my expectations. You can tell these people really love what they do and are treated well by management. Some have been with RLP for 50 years! They must have been BORN here right?! Rancho La Puerta was developed 70 years ago, in the midst of world war II when the planet was definitely tilted on its axis. And those who were seeking an affordable escape and place to healthfully edify their soul could capture it at “the Ranch”, albeit “tent city” accommodations. Now fast forward to 2011, it still has an authentic setting; organic foods all grown on property, tents have been replaced by rustic casita’s (some quite spacious villas with fireplaces), innovative dishes and unique treatments difficult to find elsewhere. Morning hikes in and among the hills and don’t miss the “organic breakfast hike”! D-E-L-I-S-H! As Rancho La Puerta was basically the first destination spa others have fashioned themselves after, you destination spa aficionados will feel a sense of déjà vu going on here…and that is because Rancho La Puerta put the concept on the map. I highly recommend RLP if one is desperate for a kick start to a new and low fat (yet tasty) regime. After just 4 days I lost pounds without even trying and gained power I had not expected! 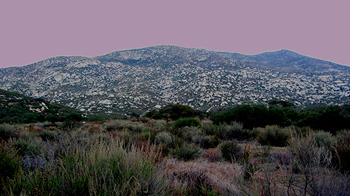 Perhaps it’s the legendary energy invoked by ancient Kumeyaay Indian shaman’s buried in the foothills surrounding the Ranch. I hope to return to Rancho La Puerta someday soon with clients next time who are looking for this vibe off a decidedly less beaten path! 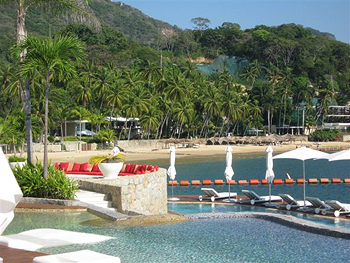 While the rest of the world might be fearing Mexico and especially Acapulco, I set out for Acapulco without trepidation because # 1 – I was not in the least worried about all the media hype about crime there and # 2 – I had to see what I thought would be an amazing new property on the scene – Banyan Tree Cabo Marques! 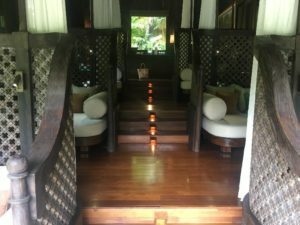 I caught a glimpse of it in print when I was at their sister property in the Riviera Maya (just south of Cancun – Banyan Tree Mayakoba which is INCREDIBLY COOL so of course I would want to see what else Banyan Tree had up their sleeves and so close to LA) and # 3 – I had to go so you will know! First of all let’s step back in time a little bit to the days of Hollywood and realize Acapulco was THE place to be and be seen! Movie Stars and Starlets jetted down to Acapulco and ran around in convertibles, having martinis and margaritas all day long and partied above the bay and among the shining lights of the city all night long! This sort of Jet Setting “play” went on from the 40’s/50’s/60’s/70’s and so on till recently when the underworld of Mexico decided to sabotage this play ground with bad behavior. And that was a shame because they have hurt Acapulco and so has the media to drive the nail into the coffin. So here I am at Banyan Tree Cabo Marques and I think I’ve somehow been transported in lighting speed to Thailand. I’m greeted at the airport by a most amazingly warm staff and whisked away in a sleek new 4 x 4 and taken to my secret hideaway. I’m then golf carted high atop the mountain on property to my little slice of heaven – Villa # 607. Infinity edge pool which seems to virtually fall into the blue pacific. Every room amenity is tastefully planned out. 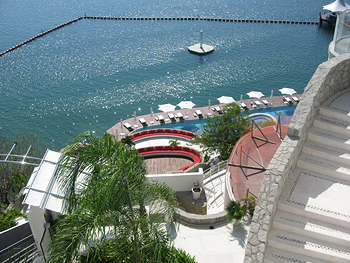 The furnishing and décor are modern yet comfortable and all positioned with spectacular panoramic views of the ocean. Night one, I am invited to participate in a mojito making class at Banyan Tree and once again I’m reminded “I love my job”! Dinner on property fantastic at my favorite spot – Saffron! THE most delicious Thai food I’ve been lucky enough to have! Day tripping off property leads me to the private yacht club nearby which has an agreement to accommodate Banyan Tree guests where I’m ushered onto a lovely vessel and taken to see the cliff divers by sea access! Amazing! Stay tuned as Planet Kelli takes you to more exciting places for an up close and personal view! I’ve been to Paris many times before but this one takes the cake! It was my favorite of all. Why? Everyone and everything seemed to be at their best! Let’s begin at the Hotel le Bristol. And to see this place, take a peek at the movie “Midnight in Paris”; it takes place at Le Bristol. From the valet to the GM – each delivered a most superb hospitality and after all isn’t that what travel should be all about? Now I know what some of you are thinking; aren’t the French rude? Don’t they dislike Americans? Well if they did, they like us a bunch now and I for one am happy to come to their party! Especially at Le Bristol! It reeks of Paris; from the Dining room to the croissants. From the room keys (which I seemed to always have trouble with…but I’m just BAD with keys anyway!) to the beautifully scented Hermes soaps in the bathroom (I adore that soap!). And I had probably the best omelet of my life; just cheesy goodness. 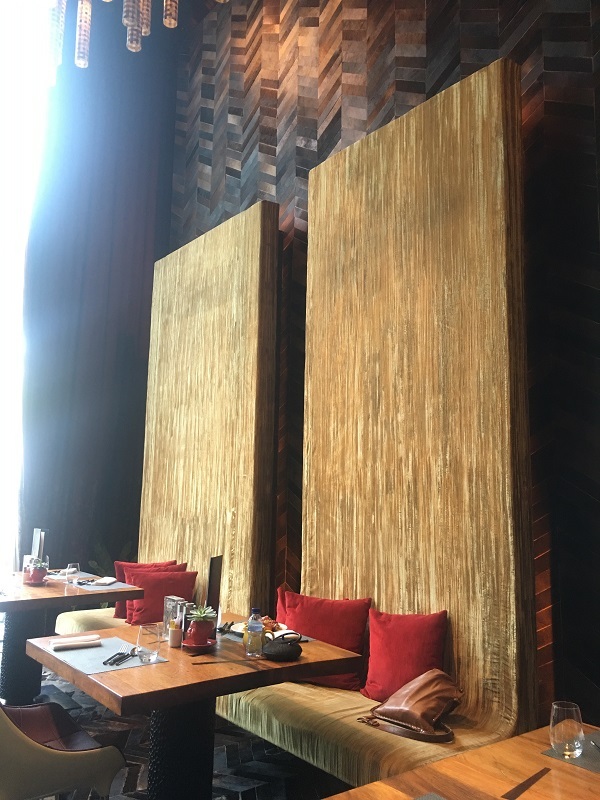 And for dinner – dined at Faubourg 114 – the best new brasserie in the city! 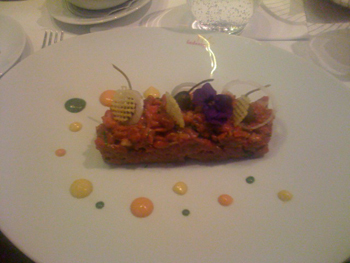 Champagne, frois gras, tartare…no wonder why my pants are tight! And wanna know what else I love about this city? The DOGS! 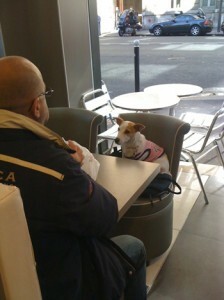 Yes Paris Has Gone To The Dogs! They seem to have a special “je ne sais quoi” and are so very sweet and fashionable! You see them everywhere and they’re allowed at the FINEST places in town! And nighttime in Paris is always magic now that the Eiffel Tower lights up like diamonds and sparkles every hour on the hour. Pure fantasy come true. Next was my first time on the Orient Express barge through Burgundy from Dijon to St. Helen de Loges. 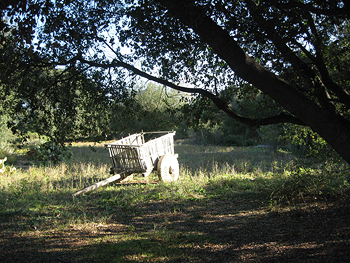 Idyllic, bucolic, a gastronomic journey. Our chef of the Amaryllis was an artist in the kitchen. And our tour director Nick (who really knows his wines and the country of France well made our time absolutely perfect. After finishing a too short trip aboard the Amaryllis I ventured from Burgundy to the S. of France by train straight to Nice! Rain hit my window off and on which made the time more romantic I think than if the sun were out. From train station in Nice to my dear friend's house in Villefranche Sur Mer…incredibly beautiful village perched high atop the French Riviera with views of St. John du Cap on the Mediterranean, neighboring Monte Carlo and the border of Italy just minutes away. And all I could think of was…”my friend calls this home away from home”? Quite simply a charmed life I must say. Yeah so it’s been much too long…my first message to you all in sooo very very long. But as a good friend of mine said whom I refer to as Peach Perfection, I’m…”worth the wait”. Thank you PP. But I’m getting better so here we go! Day 3 of my adventure through Colombia (yes the “forbidden” country) one unlike the safe and predictable U.S. locale. Let me be the first on my block to tell you Colombia is surprisingly comfortable, yet exciting, mysterious, a dark past for sure but a place that feels similar to Madrid, Paris, Rome a la South America! Hello Colombia! Where have you been all my life? Why did it take me so long to know you? Bogota is where I walk through the door of this sultry city. But first! It hits me! Over 8000 feet above sea level and my mind and body has entered a woozy state of “altitude” transformation. So I take it easy. I walk a little slower. 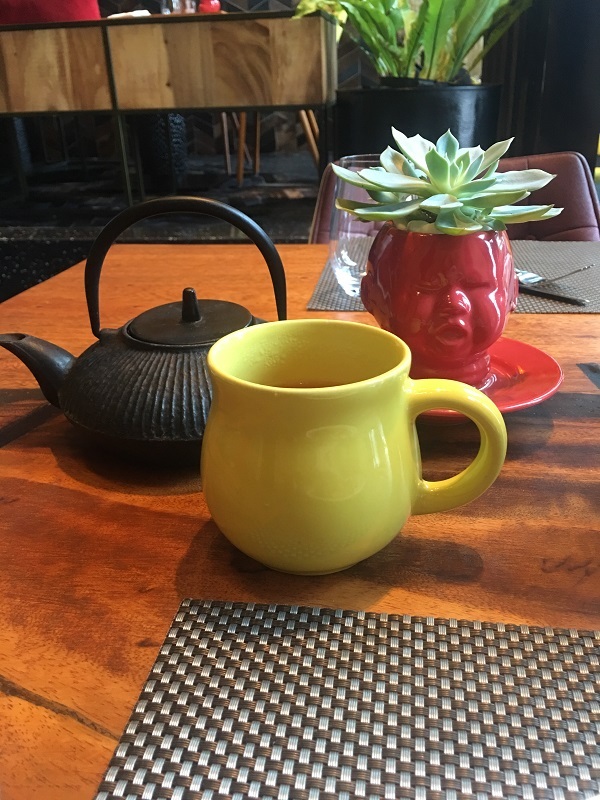 I sip a cup of Coca leaf tea (yes, the one connected to the white stuff but in its pure, legal, non tampered with sold over the counter form and given to children) to neutralize the effects…ahhh…I’m much better now. On to seeing this beautiful area where I stayed called the Zona Rosa at the lovely Victoria Regina on the coolest little tree lined Side Street which is similar to an Upper East Side brown stone area in Manhattan…but we’re in Colombia! And there it is. The restaurant I will not only love unconditionally but return to night after night for the Ceviche Mixto and Chilean champagne! 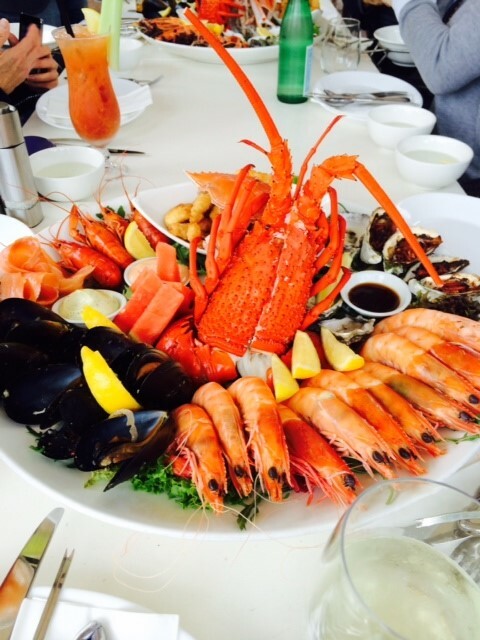 One of the…if not THE…best seafood restaurant I’ve stumbled upon called “Central”. We’re greeted by one very smooth and intelligent head chef (standing in that night as a sort of maitre d', public relations greeter, interpreter) Santiago! He immediately came to our non Spanish speaking rescue and guided us to that amazing ceviche! We quickly became friends. A simpatico was formed. And next we were invited by Santiago to opening night at a friend’s rock and roll club. Not exactly our music style but who cared – we were honored to be included so off we went! Our view of Bogota was a combination of old world cobble stoned streets, Botero museum, gold museum, gondola ride high above the city where a church stands governing its people. The upper class part of town with its style and sophistication. The “other side of the tracks” one is told not to venture into as there are remnants of a seedier time…so kept to “our part of Bogota” and didn’t look the other way. Next stop Cartagena! NOW this is something special. 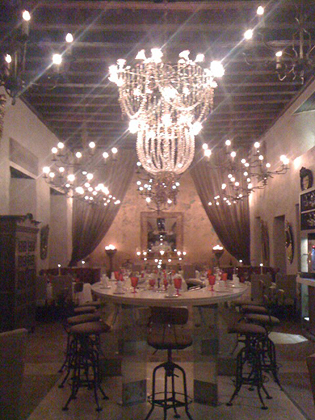 And the jewel is within the walls of the Old City; cobble stone streets, horse drawn carriages, plazas, churches, sidewalk cafes, musicians, cigar rollers, open air markets, boutiques, upscale restaurants which don’t get going till quite late at night and here is what I adored the most; charming, intimate boutique hotels and villas, all within the walled city many with rooftop pools and terraces and amazing views of the city. Cartagena makes me think this may likely be what Havana, Cuba is like but decidedly European! 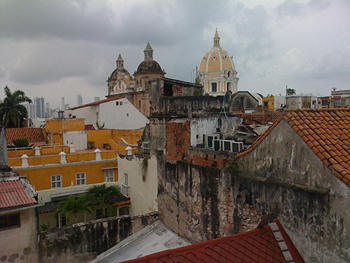 And Cartagena is right at the tip of the western Caribbean so the sea meets the walls of the old city. 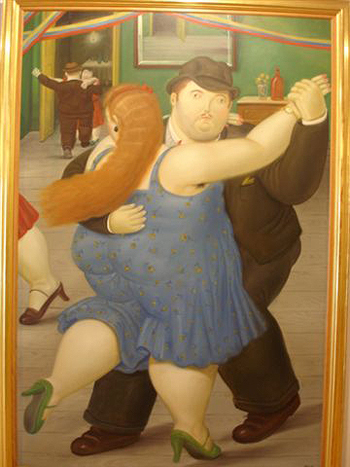 And our next stop would be Medellin made famous by the artist Botero! Here you’ll find his primary museum which houses not only all of his amazing works; sculptures and paintings but some other important pieces in his collection by Picasso and other really amazing artists. What striked me as quite surprising about Medellin is the landscape. It’s called the city of “Eternal Spring”. Upon arrival at the airport I was greeted by a freshness of spring. Green pastures and lovely hills. Then making my way to the heart of the City was to descend upon a metropolis nestled in a valley surrounded by amazingly high mountains. A stunning picture. Colombia is definitely a place I will return to see more of and next time will include the Coffee Triangle! Juan Valdez I understand is waiting with a cup the famous beans in hand for me.